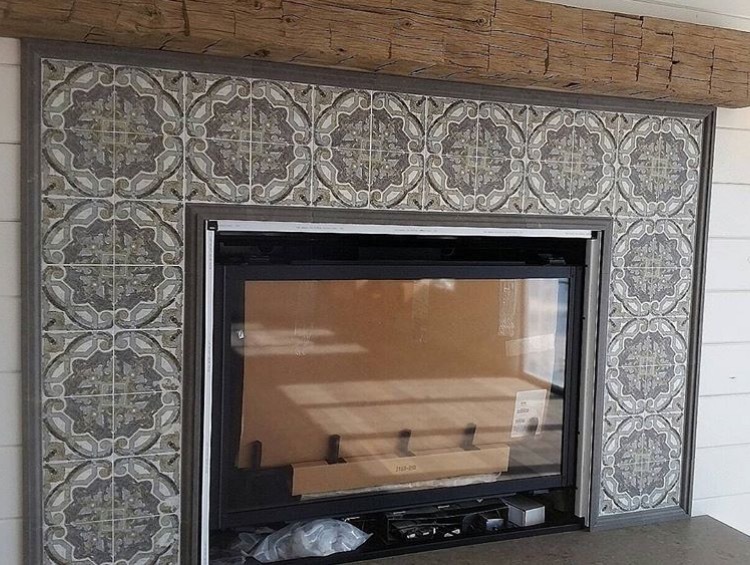 When we are lucky enough to receive pictures from completed installations, we are always in awe of the different ways clients use our tiles in their homes. 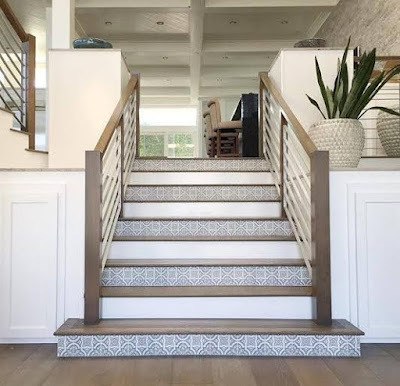 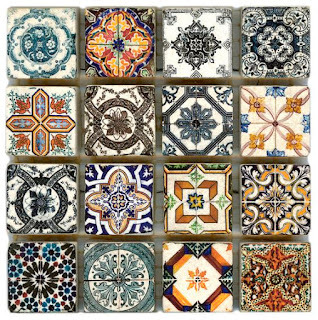 We are now seeing our patterned tiles used as center pieces on shower walls, rugs on bathroom floors, decorative stair risers, borders around fireplaces, and even on home bars. While we love a classic kitchen backsplash, it is always fun to see our tiles end up in spaces we never expect! 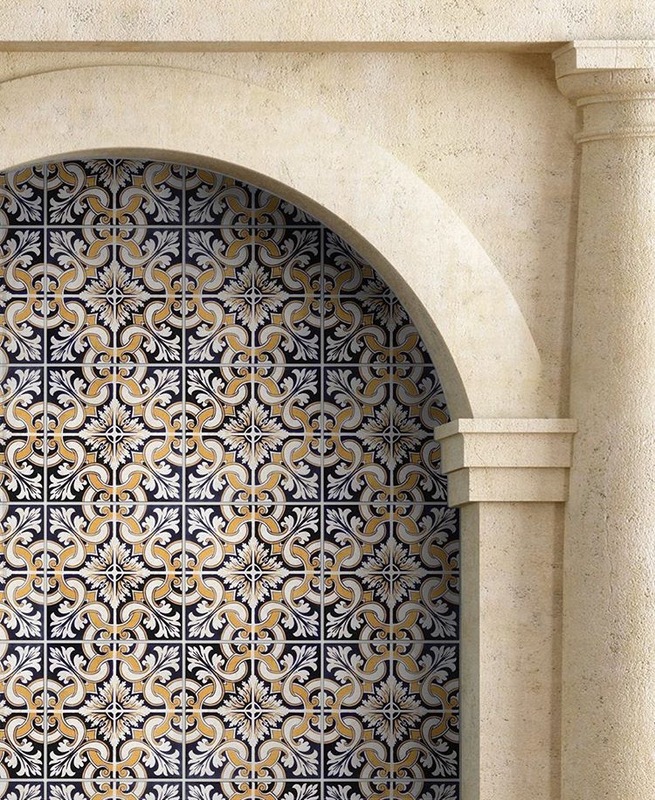 Decorating your home should be a fun, creative process and a way to make your space personalized. 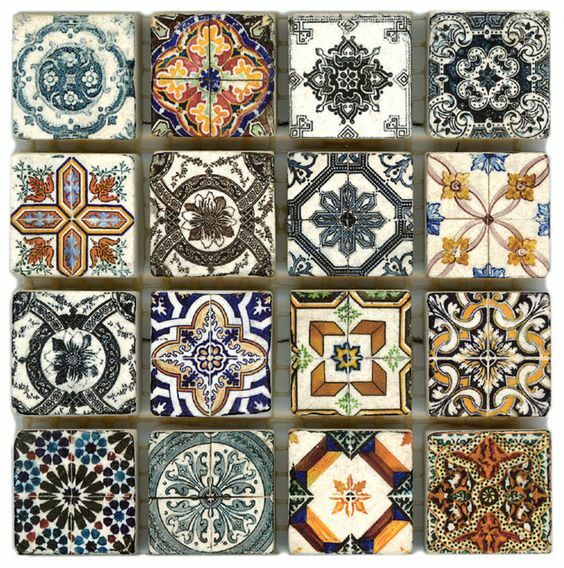 Using decorative tiles around your home is one way that you can take a plain space and completely transform it into your own vision. 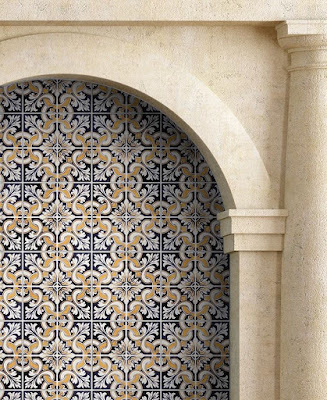 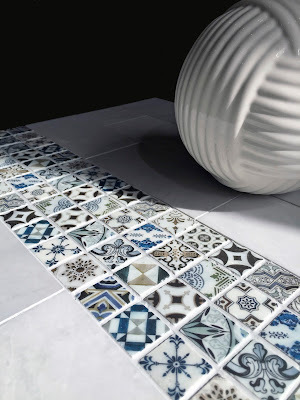 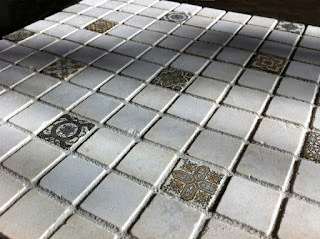 Below we will show you 5 unique places to dress up with tile. 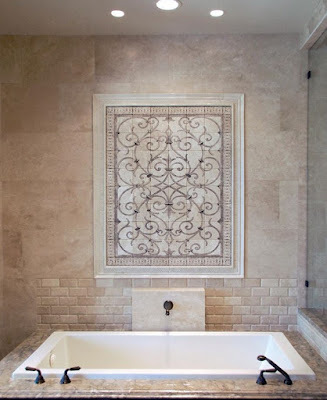 Your bathroom should be your sanctuary. It is where you spend your time getting ready in the morning and where you relax after a long day at work. 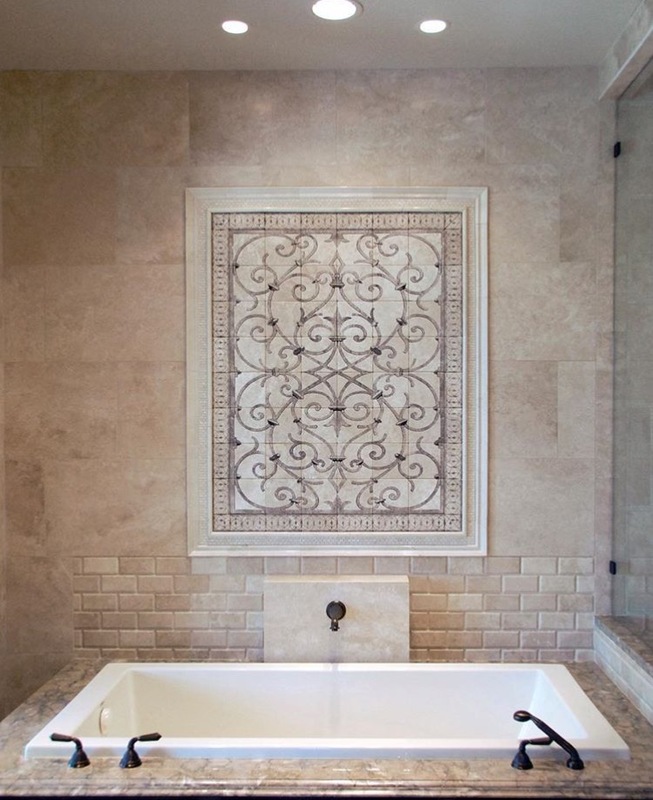 Whether you prefer taking a soothing bath or a shower to wind down, you should be surrounded by something that is beautiful and a design that you envisioned! 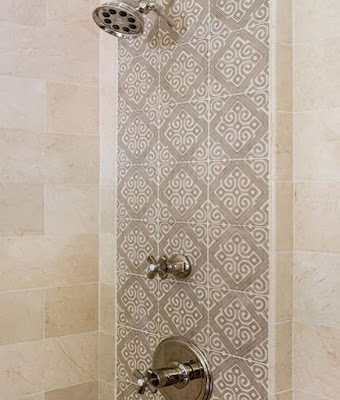 Try adding a shower wall or bath backsplash like the ones below to personalize your bathroom experience. Probably one of the most innovative things we’ve seen designers do is create a permanent “rug” in their client’s bathroom or kitchen. 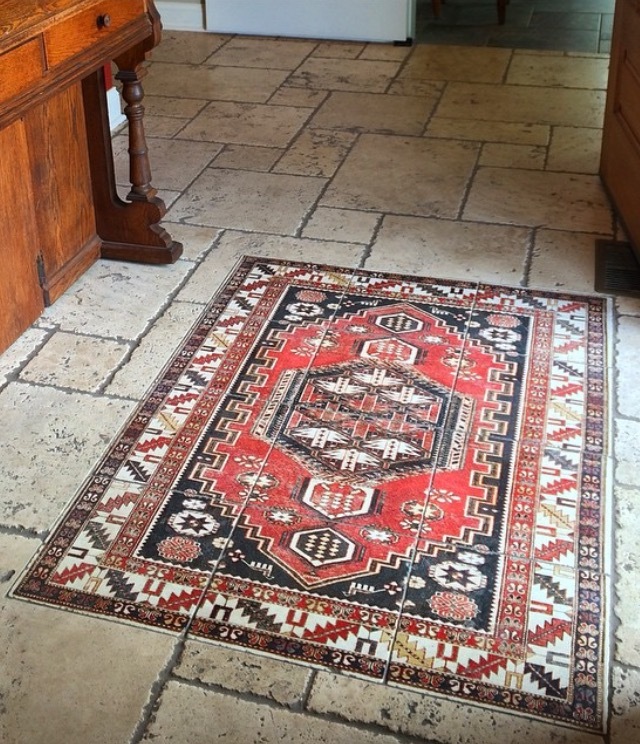 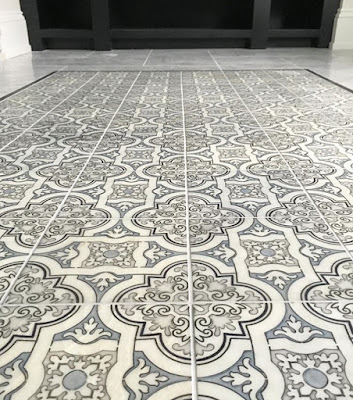 Adding a tile rug to your home will definitely catch the eyes of all your guests and is much easier to clean! Adding decorative stair risers to your home is one of the fastest and most cost-effective ways of adding color and flare to your home. 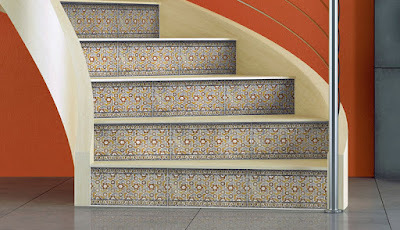 It is such a simple addition to your house, but will make your staircase completely customized. 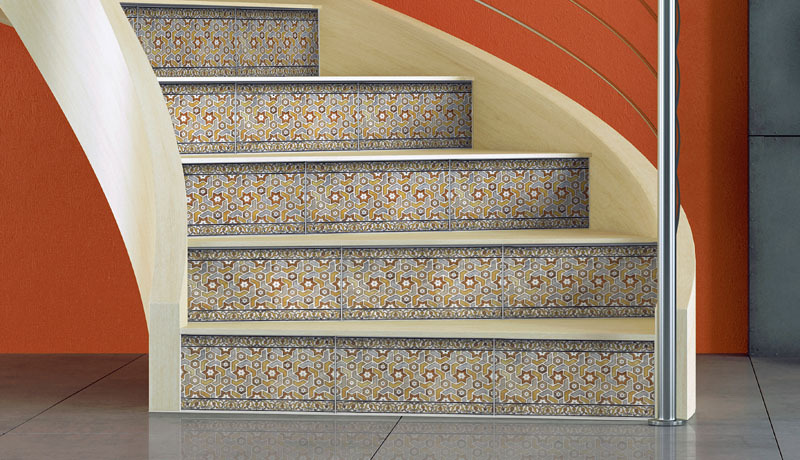 Like stair risers, adding a border around your fireplace can be a quick but impactful way of customizing this space. 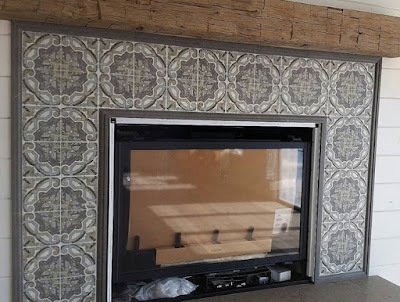 Even though it might seem like you’re not doing much, this simple addition to your fireplace that will create a unique and eye-catching focal point in the room. 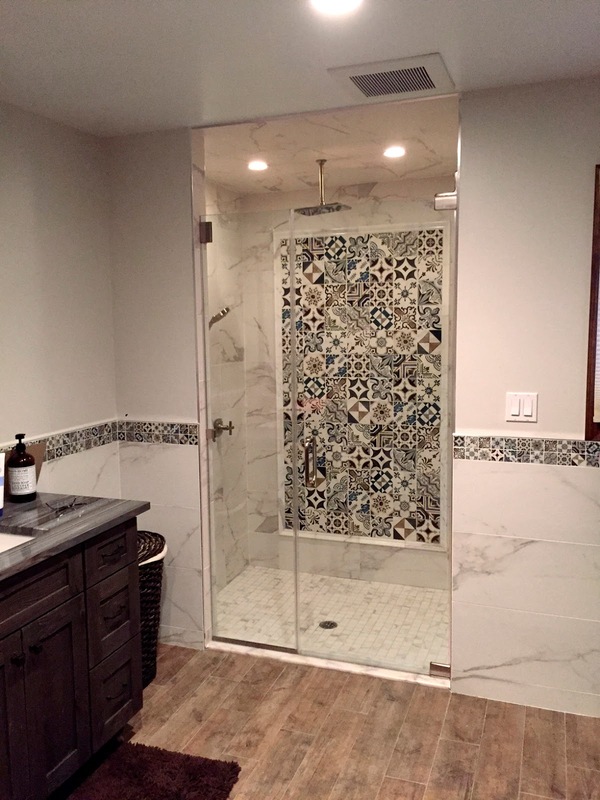 Black Band Design recently renovated a Southern CA home and we were amazed at the before and after shots. 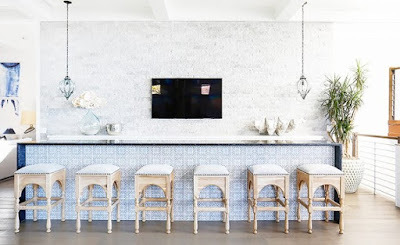 What really caught our eye was the home bar they redesigned. 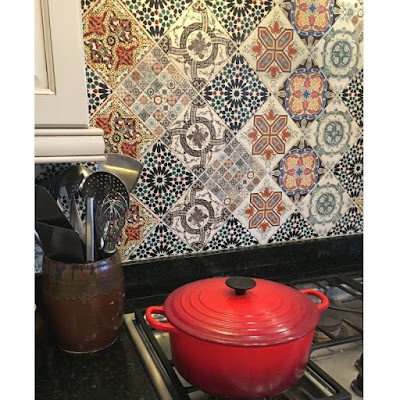 We hope that this is a trend that continues! Renovating and designing your home can seem like a daunting and difficult process in the beginning with the endless ways you can customize your home and make it your dream palace. 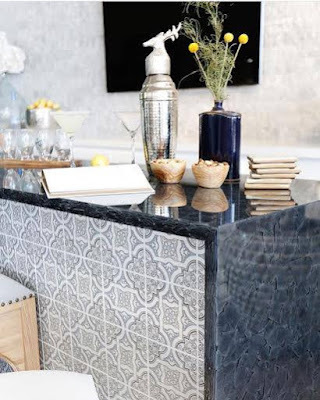 Don’t stress yourself out too much when choosing what to change and redesign, the most important part of making over your space is that it is what you had envisioned and something you created!